AMMONNEWS - New Zealand's Deputy Prime Minister and Minister of Foreign Affairs Winston Peters said on Sunday that his country offers all the attention and medical care to the victims of the barbarous terrorist crime against worshipers in mosques in Christchurch last Friday. In a phone call with Minister of Foreign Affairs and Expatriates, Ayman Safadi, Peters said the injured Jordanians are receiving treatment and full care in New Zealand's hospitals. Safadi expressed his condolences to the martyrs of the massacre, while Peters voiced his deepest condolences to the Kingdom over the death of the four Jordanian citizens who were martyred in the massacre. The ministers condemned the heinous terrorist crime, stressing their condemnation of terrorism, which does not belong to a civilization or religion in all its forms. 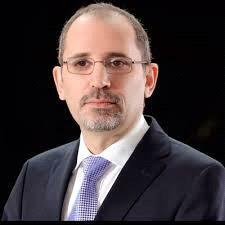 Safadi stressed that terrorism is a common enemy, urging for orchestrating and intensifying all efforts to combat it and fight the hate rhetoric it is living on. On the massacre investigation, Peters reiterated his country's condemnation of the terrorist crime committed by a foreigner in his country, stressing that New Zealand will investigate this terrorist crime and will take all necessary judicial procedures transparently, clearly and quickly. Safadi asked his New Zealand counterpart to keep Jordan updated on the process of investigation and judicial proceedings. On a related context, the diplomatic team dispatched by the Ministry of Foreign Affairs, headed by the Director of the Consular Department, Ambassador Ah'ed Sweidat, began offering support to the wounded Jordanians, following up on the procedures for burying or transporting the bodies of the martyrs to Jordan, and communicating with New Zealand's authorities. The Ministry of Foreign Affairs has formed a working team to follow up with the families of the martyrs and the wounded, provide all support for them and arrange a visit of those people wishing to fly to New Zealand.